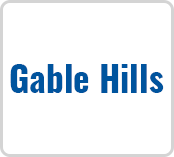 Perched upon a hilltop in Sand Springs, Gable Hills welcomes you home to something new. With convenient access to highway 412, a commute to downtown Tulsa is a breeze. Catch a show at the BOK Center, spend the day at the Tulsa Zoo, or enjoy spending time in your new home - a country atmosphere with city conveniences only minutes away. its a quiet area its worth paying for.